Ellen Potter is the author of more than ten books, including the bestselling Olivia Kidney series and the award-winning novels Slob, The Kneebone Boy, and The Humming Room. Her most recent series for boys, Otis Dooda: Strange but True, is a Cybils Award nominee. Learn more about Ellen at ellenpotter.com. Peter Reynolds is an author and illustrator of children’s books and the founder of the educational media company FableVision. 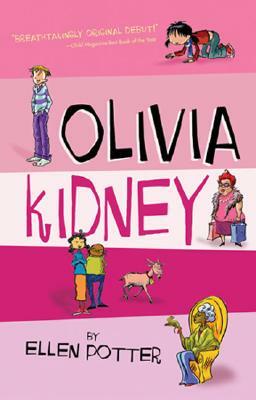 The books he has illustrated include Huck Runs Amuck!, Olivia Kidney, and What to Do If an Elephant Stands on Your Foot. He lives in Dedham, Massachusetts.